Today we have a guest post from Eryka, a student who is currently in the process of applying to PA school. Eryka and I connected through Facebook, and she has been sharing her advice through The Pre-PA Club Facebook group and I recently did an interview with Eryka on The Pre-PA Club Podcast. We're going to be following her journey so you can get some insight from someone who is going through the process right now. Enjoy! Hey guys! It’s Eryka I am a first-time applicant this year, and I was the previous PA Club president at my Alma Matter, the University of Delaware, Go Blue Hens! I have partnered up with The PA Platform to help share some of the things I have learned along the way to make your journey to PA school much smoother. 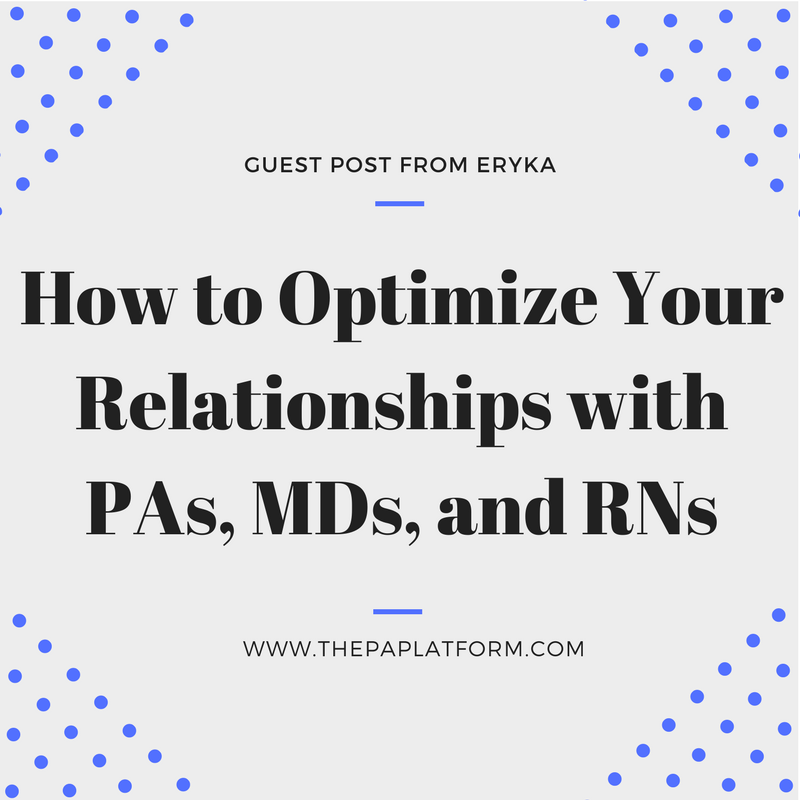 Today I want to talk to you guys about how to make the most of your relationships with PAs, MDs, and RNs. 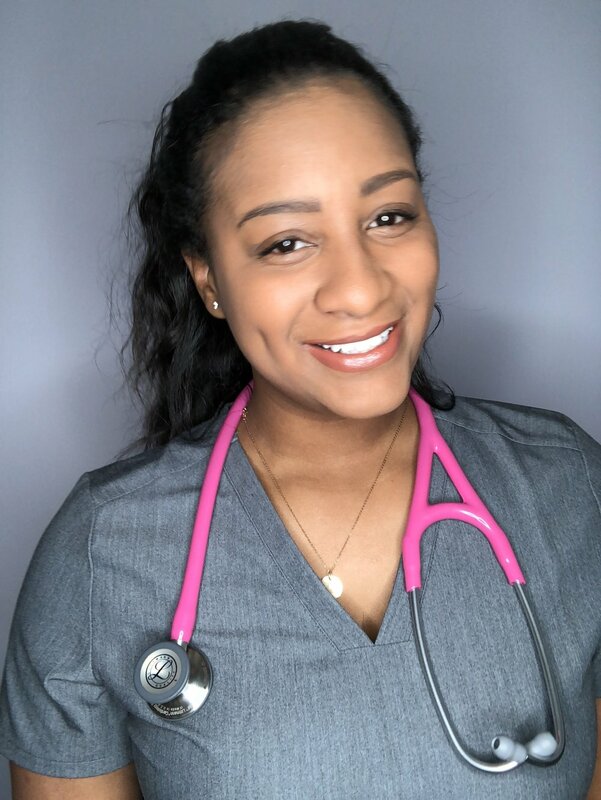 From every shadowing experience or job I’ve had I made many connections with healthcare providers that have helped me get to the next step in my journey. Using these 5 tips will help you make meaningful connections with clinicians! 1.) Introduce yourself! Every healthcare provider that I have met, I always introduce myself. If there is a new PA at work, I will find a way before the day gets too busy to introduce myself: “Hi, I’m Eryka, nice to meet you. How long have you been a PA? Where did you go to PA school? I will be/am applying to PA school…” This without fail has sparked a conversation about how they got into PA school or what my major was in undergrad. The point is to make a connection. This same strategy works well with nurses and doctors. The key is to let them know you are interested in a career in healthcare and your aspirations to go to PA school. 2.) Express your interest to learn. 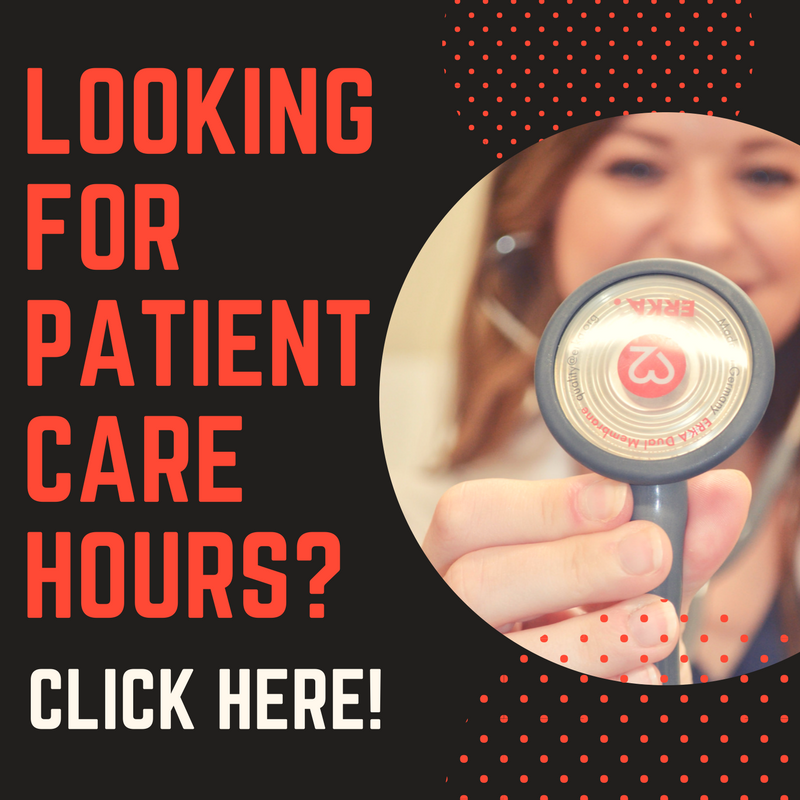 If you are shadowing or working in healthcare and you have a question about a patient or about why the diagnosis could be, ASK! For example, I work as a medical assistant in an urgent care, and I can order labs and x-rays for patients. After I triage the patient and take their chief complaint, I talk to the PA or MD. I let them know what the reason for their visit and what I think the diagnosis might be based on their symptoms. Eventually, you start to see that certain symptoms and clinical presentations are often for the same diagnosis. For example, I recently told the PA I was working with that a patient who had a rash on their face that it looked like shingles, as it turns out I was right! I only knew the difference because of a week prior a PA said that one patient’s rash was shingles and she explained how the rash presents clinically and what questions to ask the patient. 4.) Always show your appreciation. Even if it was a brief conversation, leave them with a lasting impression of you. Always say thank you for all the advice/information or thank them for teaching me about XYZ. You want them to remember you as respectful, inquisitive, and professional. You never want to burn down any bridges! 5.) Exchange information. If you felt like your interaction was positive, ask for their email! Doing the steps mentioned above, they might even offer their email to you before you even ask! Having contacts in healthcare can lead to shadowing opportunities, letters of recommendations, and potential interviews. Once you get their email, you need to FOLLOW UP! They might not remember if you wait a few days to a week after meeting you to email them. It is very important to follow up within 24-48 hours of meeting, restating your name, thanking them for speaking with you about XYZ and anything you previously talked about, and that you look forward to speaking with them soon. This is a perfect way to jog their memory of you and remind them what they said they were willing to do for you, like writing a letter of recommendation or having you shadow them! If you think you might lose their business card take a picture on your phone to ensure, you don’t lose it! I hope you like my post, and I will try to write more as my journey to PA school continues. You can follow me on Instagram at @erykalaren, and my YouTube page will be up soon as well!